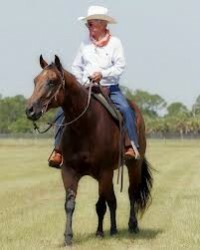 Pete Clemons is a long-time cattleman in the State of Florida. A member of the Florida Department of Agriculture Hall of Fame and the recipient of the 2009 Florida Folk Heritage Award he was a rodeo star for 25 years. Nine times during that career, he won Beast all Around Cowboy title at the Silver Spur Rodeo in Kissimmee. He competed throughout the U.S., Canada, Cuba and twice traveled to South America as an Ambassador of U.S. rodeo. Pete is also a former chair of the Florida beef Council.